The activities of alternative idol outfit Brand-new Idol Society managed to spark the interest of Jojo Hiroshige back in 2012. 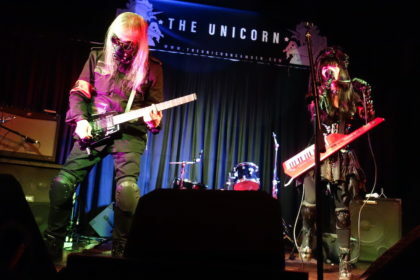 Hiroshige fronted classic noise band Hijokaidan, whose own antics seemed to suggest similar themes in line with BiS. Hiroshige had originally envisioned a collaboration with Momoiro Clover Z, but was steered towards BiS by fans on the basis that both outfits had this commonality between them. Initially revolving around live noise versions of the likes of ‘nerve’, the project let to the self-titled BiS Kaidan album which was released on the Avex Trax label in 2013. The album was essentially Hijokaidan adding noise elements to a series of well known BiS songs, including ‘PPCC’ and ‘Primal’, although a cover version of Jun Togawa’s ‘Suki Suki Daisuki’ also featured. 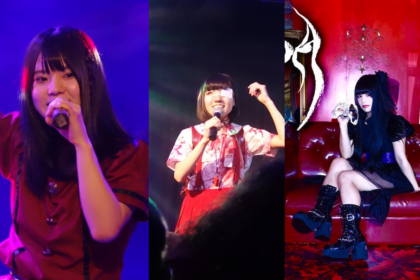 These days, the idea of unusual idol collaborations is nothing new, particularly on the back of the success of BABYMETAL. 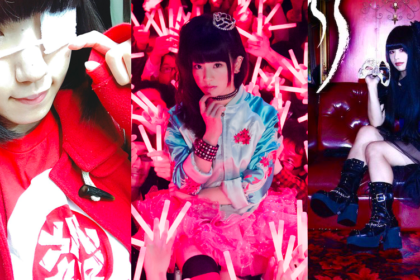 It could also be argued that it’s these curious combinations that keep both idol music, and the Japanese music scene in general, fresh and intriguing. 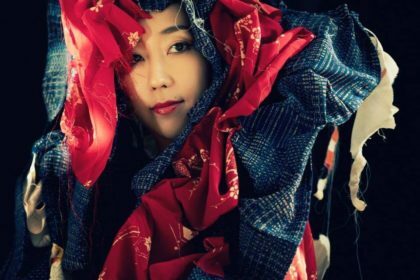 In 2014, French record label Specific Recordings snapped up the opportunity to bring the delights of BisKaidan to a European audience. Following the limited edition vinyl release of the first album (which sold out in 3 weeks), Specific have now done the honours with the second album. As with the previous release, this edition of the second album, here titled BisKaidan 2, comes with different artwork from the original and is issued as a one-sided vinyl release with a special laser-etched side. It’s a smart package that’s visually very attractive. Although whether or not you’d consider the collaboration a success or not depends on where you fall on the spectrum of appreciation for idol acts and noise outfits. The album consists of seven tracks, of which six are notable BiS single releases. The version of ‘BiSimulation’ here offers up a much denser wall of sound than with the original, while ‘STUPiG’, which was already a boisterous track to begin with, seems to achieve the most seamless transition on this album. ‘FINAL DANCE’, originally the final official BiS single release in May 2014, is overlaid with a slightly disconcerting reedy squeak. Meanwhile, the pop appeal of ‘Fly’ gets a thorough sonic hosing courtesy of our noise experts. ‘IDOL’ has always held a special place in the BiS discography, originally released as an exclusive HMV single back in 2012, the energetic tune was later part of the alternative idol outfit’s 2013 collaboration with Dempagumi.inc (on which each act covered a song by the other). Here, the urgent melodies of ‘IDOL’ are repurposed into an aural assault that wrestles your ears to the ground until they beg for mercy. The album closes out with another noise collage (as with album No.1), this time merging a new composition against the reversed lyrics of ‘nerve’. 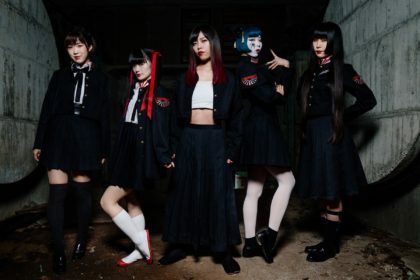 The collaboration between BiS and Hijokaidan demonstrates that the idol outfit could continue to keep things interesting, even in their final years. 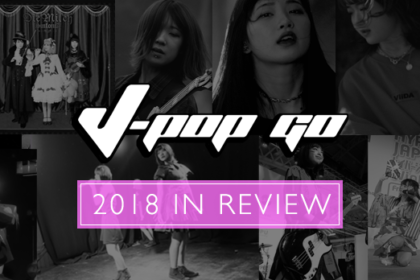 It also marks a thumbing of the nose to the vociferous anti-idol commentary that appears to have become an entrenched part of Japanese music debate. The BisKaidan 2 release offers up a fractured barrage of sound that offers up a very Marmite variety of music that you’re either going to love or you’re going to hate (either way you’re certainly going to sit up and take notice). Meanwhile, the album suggests the stage for idol music is much broader and more diverse than its critics would ever feel comfortable admitting to. BisKaidan 2 is out now on Specific Recordings. Limited to 500 copies as a one-sided laser-etched 180gm vinyl release.